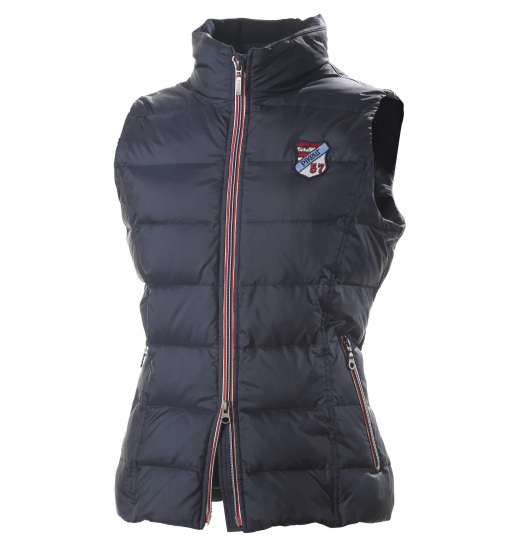 Beautiful ladies quilted vest with stand-up collar from PIKEUR. 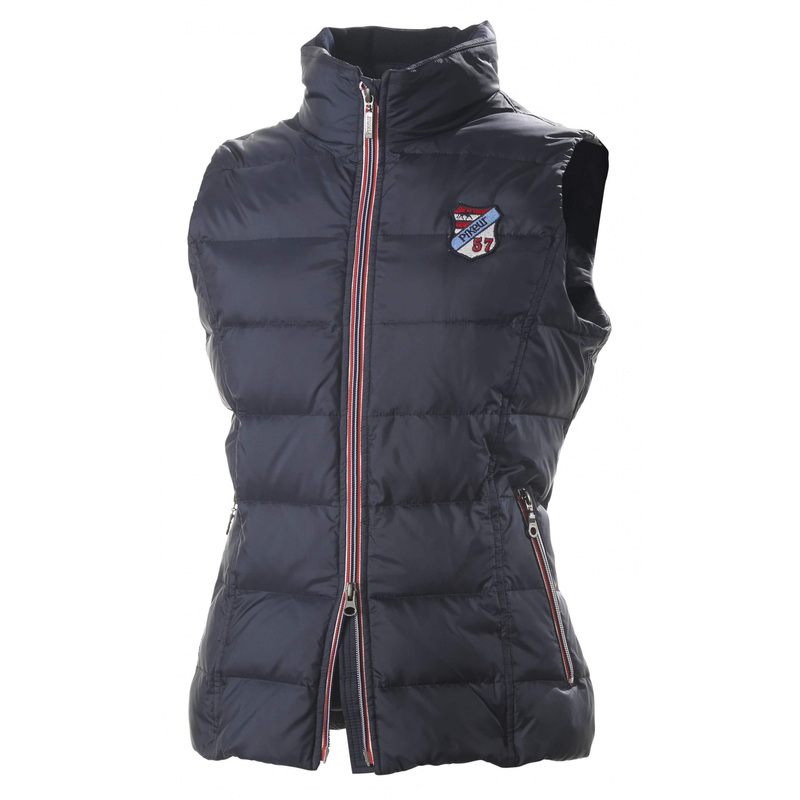 Fastened with two-way zipper. On the sides are two zippered pockets. There is an elegant embroidery placed on the left chest referring to WINTER 2013/14 mini collection. Available in always fashionable navy color.